Lexington, Ky. – April 20, 2017 – The Kentucky Spring Horse Shows will be getting underway in May at the Kentucky Horse Park in Lexington, Kentucky, and one of the highlight events will be the kick-off of the 2017 Hagyard Challenge series, sponsored by the Hagyard Equine Medical Institute. The Hagyard Challenge series consists of seven grand prix classes to be held during the 2017 show series at the Kentucky Horse Park. Following the final event, a cash prize of $50,000 will be awarded to the rider accumulating the most points throughout the series. The Kentucky Spring Horse Show, held May 10-14, will feature the lead-off event on Thursday evening with the $35,000 Hagyard Lexington Classic CSI3*. The top riders from across the nation will gather to compete over a challenging course and vie for the winning title and valuable points toward the $50,000 Leading Rider Bonus. The Kentucky Spring Classic, May 17-21, will host the second $35,000 Hagyard Lexington Classic CSI3* on Thursday, May 18. 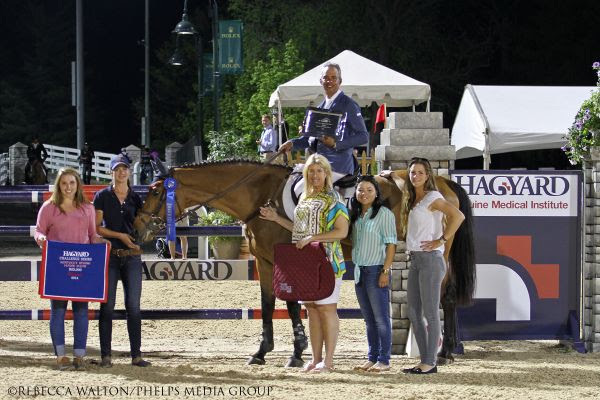 Throughout the summer, four more Hagyard Lexington Classic grand prix events will be held during the Kentucky Summer Horse Show, the Kentucky Summer Classic, the Bluegrass Festival Horse Show and the KHJA Horse Show. The series concludes with the $65,000 Hagyard Lexington Classic during the Kentucky National Horse Show. Following that exciting competition, the winner of the $50,000 Leading Rider Bonus will be announced and presented with the cash prize by the Hagyard Equine Medical Institute. Campground reservations: Reservations may not be made through the horse show office. To reserve a campsite at the Kentucky Horse Park for any of the horse shows, please call the Campground Store at 800-370-6416 or 859-259-4157, or email Ryan McGaughey at ryan.mcgaughey@ky.gov. Be specific as to the show name and the dates you wish to stay. Check-in time is 2 p.m. and checkout is noon. You must make arrangements with the Campground Store if you plan to arrive earlier than 2 p.m. or stay later than noon. Vehicles that are not removed from a campsite by checkout time will be towed.